If you are stopping by for the Creative Charms Fall Blog Hop, please click HERE to go to the blog hop post. After you finish the hop come on back and have a look around! The Northeast US is experiencing a terrific storm this weekend - the weather people are calling it "Snowtober" and there have been many power outages. We have have a fair bit of snow already here in Massachusetts with more on the way. The storm is more extreme in the western part of the state. My brother-in-law's parents have 18 inches and counting. 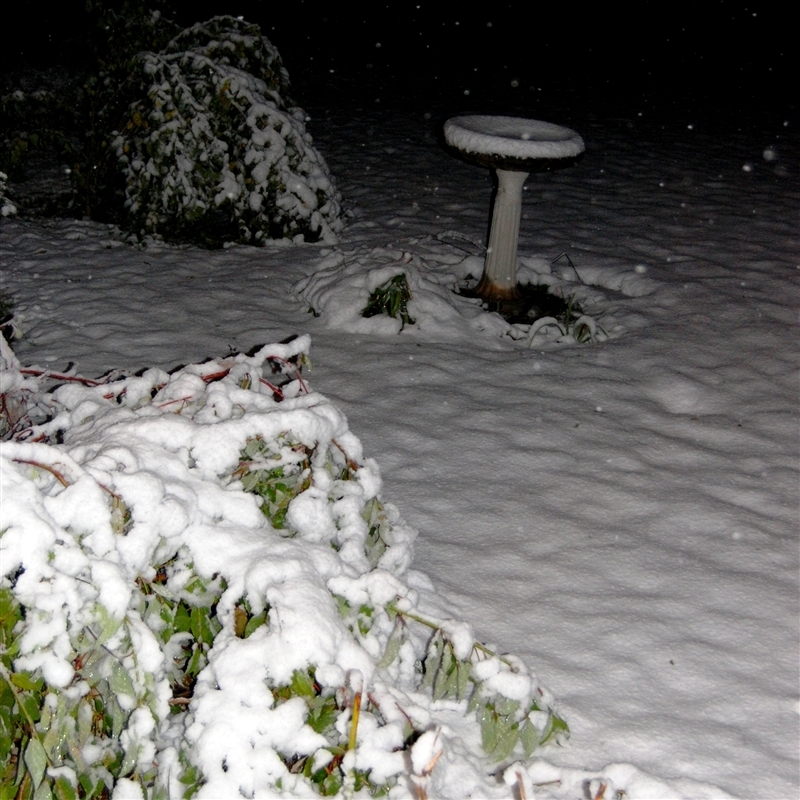 When I wrote about "Merry Halloween", a couple of days ago, I didn't really want Christmas weather to come so quickly! We have five extra people at our house this weekend and I've been doing a lot of visiting and cooking. My two nephews had a bread baking lesson and we made delicious some rolls to go with our "football stew" (another recipe for another day). 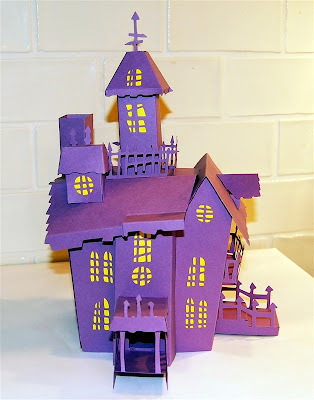 I had promised to do a little crafting with the kids and the haunted house from the Happy Hauntings Cricut cartridge was the top choice for Thomas since Scott already made a 3D castle with me last summer. This is the castle that Scott and I made from the Once Upon a Princess cartridge. When we made this I thought it was a little complicated...it is a piece of cake compared to the Haunted Mansion! I didn't take photos while we worked on the Haunted House so this will be a quick post. I do have a few tips to share that might help you if you attempt to make your own spooky mansion. 2. Be prepared for the project to take several hours - I think it was about three hours and we haven't done any embellishing yet. There are a lot of pieces to cut out and score and the assembly is rather complicated. You definitely should score the pieces to get the folds sharp and even and to help the parts fit together as designed. 3. If you want to have the roof and some of the other pieces in different colors you will need to use Design Studio, the Gypsy or the Craftroom to hide images and conserve paper. Otherwise, you will need to cut some of the feature keys multiple times in different colors to get the multicolored effect. We decided to just use the purple (I had a lot of it) to make this model. Now that we have done one, it will be easier to figure out how to cut the pieces for another in various colors. 4. If you press "fit to page" for the first cut, watch the screen to see the size to cut the rest of the pieces. To cut this entire house on 12 x 12 cardstock with no manipulation in any software, the size will be set at seven inches. The assembled height of this house cut at seven inches is about eleven inches. 5. The mechanism for holding some of the pieces together is an "arrow and slit" style connection. If you use a heavy cardstock, it will help a lot to take a tool and loosen up the slits a bit before you attempt to slide the arrow tabs into them. 6. Pay attention to the images in the book to be sure that you adhere the window linings to the correct side of the house cuts. If you stick it down on the wrong side you'd have some extra cutting to do (don't ask me how I know this...). 7. If you want to stamp or add other surface decoration to the house pieces, do it while they are still flat! 8. The trickiest part of all was the roof. There are two sections and you actually need to put the sections together and then add them to the top of the building. By reaching in from the bottom you can help to secure the roof to flaps where you have placed the adhesive. 9. We used Scor-Tape and a glue pen for the assembly. Scor-tape will hold very well and you can avoid the potential mess of liquid glue. 10. 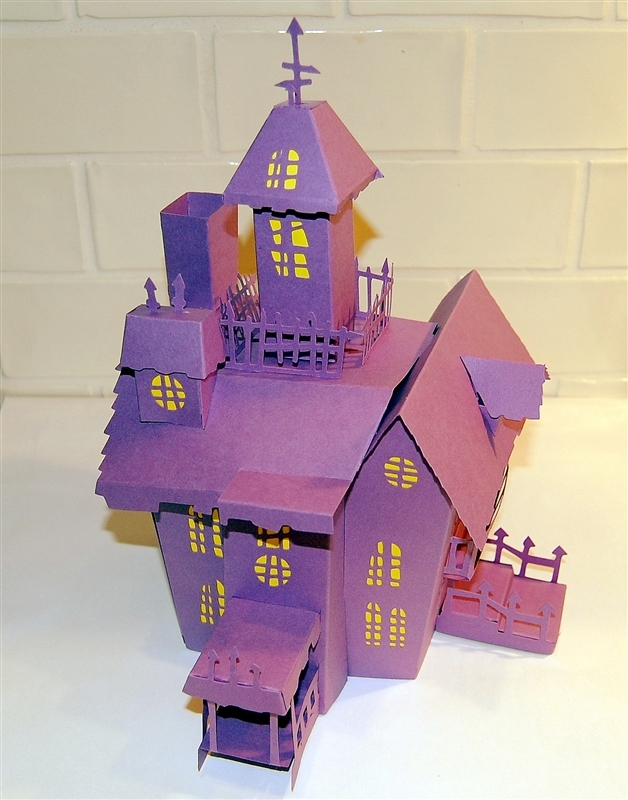 It took six pieces of 12 x 12 cardstock to cut out all of the pieces needed to build the house - so make sure you have enough paper when you start to avoid disappointment. When we finished (past bedtime) I thought I would not want to make another one of these for a very long time. As I look at these photos of our Test Model assembly, I can see lots of ways to add more interest and I may be back to cutting out another one tomorrow! Be safe if you are in the path of this storm - it might be a good day to stay home and craft (with your fingers crossed that the power stays on!). 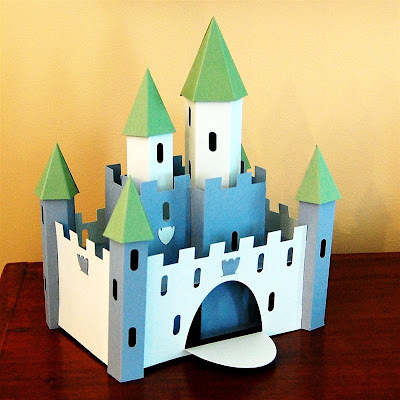 Do you like to make 3D objects from paper or do you prefer to make flat cards or pages? Good luck with the last minute preparations if you are getting kids ready to trick or treat, Have a wonderful Sunday! WOWzer! Wonderful Haunted House (and I greatly appreciate all of the tips, Diane)! and OMG to all of the snow. Does this mean that we'll have a LONG white winter, I wonder? Stay warm and I cannot wait to see the next Haunted Mansion you cut today! I am writing form Michigan, where we had a good hard frost, no snow yet. I think my favorite thing to do on a Sunday afternoon is sit and scrapbook or make cards for others. I am working today. I really appreciate your wonderful blog, it is always helpful and teaches me something. This project looks like fun! What a nice aunt you are, to make this with your two nephews! It was a LOT of work, I know! Thank you for all of the tips. I bet your nephews love spending time at your house. Never a dull moment. 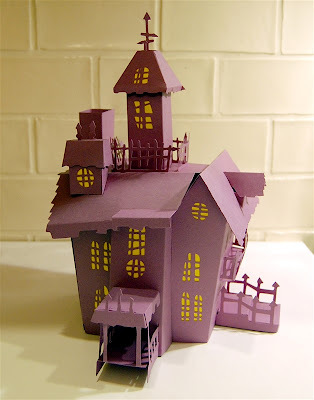 I love your purple haunted house. I'm chilled just looking at all your snow. We have rain and that's enough for me. I hope your power stays on. Awesome! Thanks for the tips, I really want to try this but it looks so difficult, I'm not sure my Grandson has the patience for it just yet! Maybe next year! Have a Safe and Happy Halloween! Keep Warm! I made one from the 12 x 24 paper (can't even remember the size now...made it over a month ago) but ran out of 12 x 24 and had to buy a piece of black posterboard to finish! I was a LOT of work!! But I used vellum that I colored with a yellow highlighter for my windows. I looks so cool. Wow, amazing haunted house! I can't believe how much snow you have, as we don't have any so far in my part of Canada. It's been a beautiful October.